His casual style is on point in the must-have SUPERISM Emery Short Sleeve Tee. 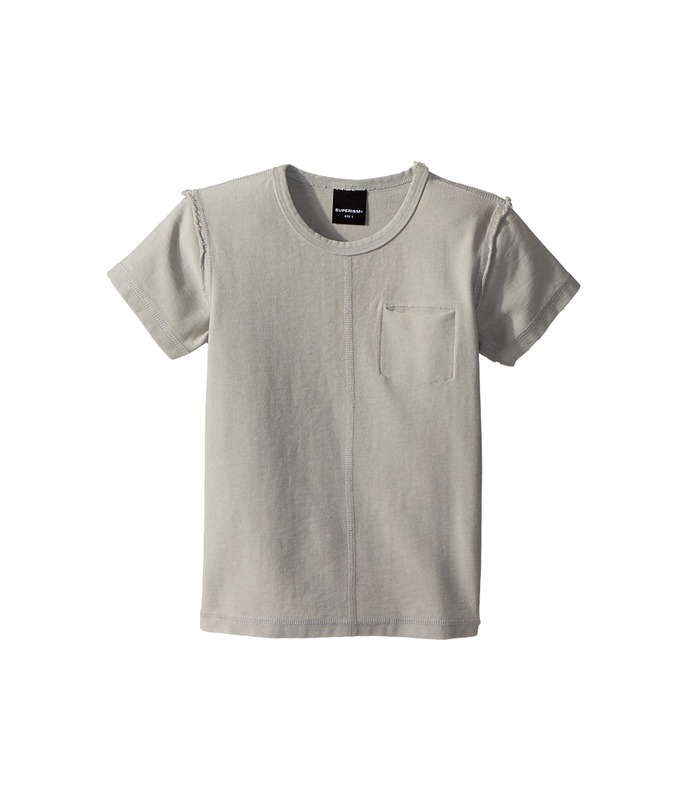 Super-soft cotton T-shirt features a mineral washed design with raw trim for an edgy look. Crew neckline. Short sleeve construction. Inverted left chest pocket. Easy pullover design. Straight hemline. 100 percent cotton. Machine wash cold, hang dry. Imported. Measurements: Length: 16 1 2 in Product measurements were taken using size 3T. Please note that measurements may vary by size. 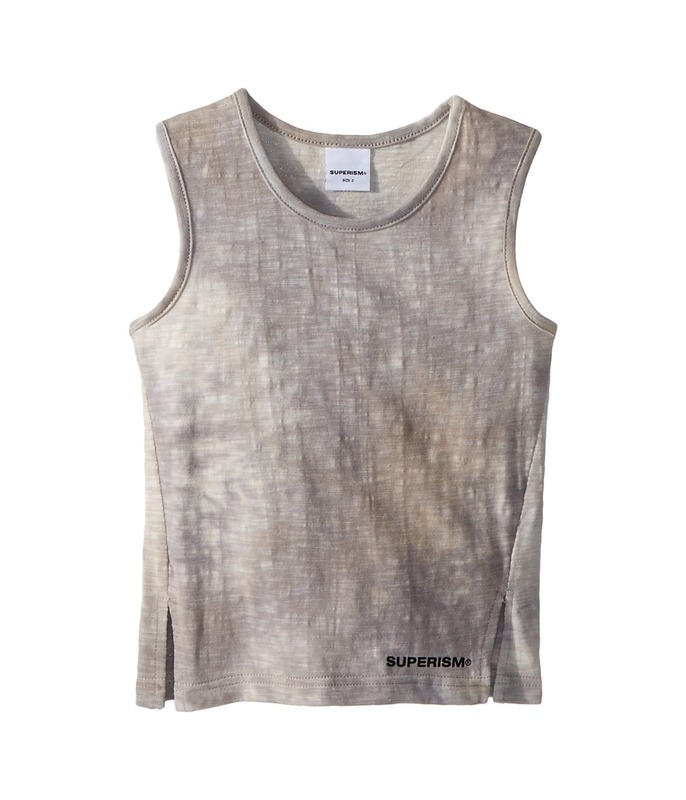 The SUPERISM Sabastian Tie-Dye Tank Top will be his new favorite casual, warm day go-to. Superbly soft slub-cotton tank top featuring an eye-catching tie-dye effect throughout the semi-fitted design. Crew neckline. Sleeveless construction. Embroidered branding near the left hem. Easy pullover design. Straight hemline with asymmetrical slit detailing. 100 percent cotton. Machine wash cold, tumble dry low. Imported. Measurements: Length: 16 in Product measurements were taken using size 2T. Please note that measurements may vary by size. Add a fun spin on his casual wardrobe with the SUPERISM Bowie Long Sleeve Tee. 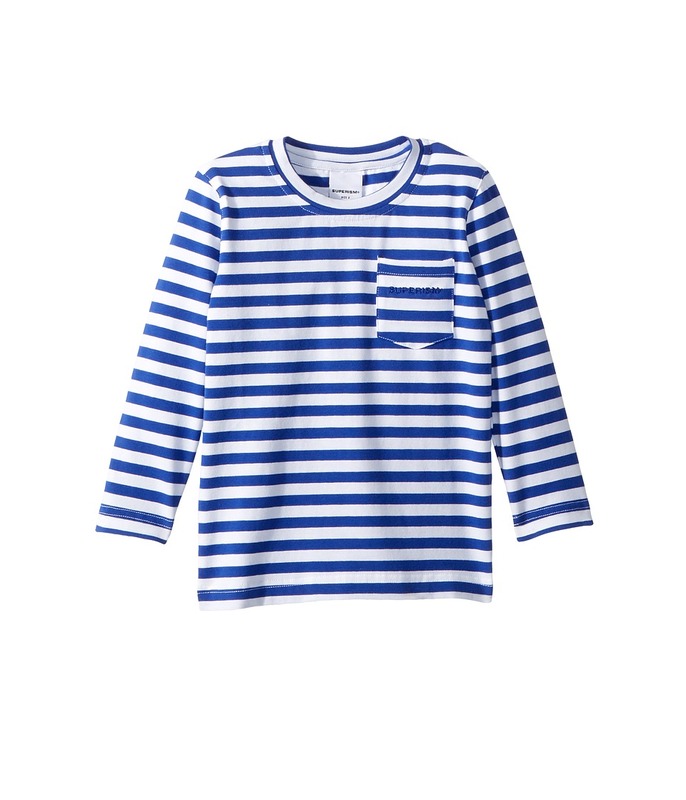 An eye-catching striped pattern and a comfortable fit adorn the superbly-soft cotton T-shirt. Round neckline. Long sleeve construction. Left chest pocket. Easy pullover design. Straight hemline. 93 percent cotton, 7 percent spandex. Machine wash cold, hang dry. Imported. Measurements: Length: 16 in Product measurements were taken using size 2T. Please note that measurements may vary by size. The SUPERISM Lover Short Sleeve Tee will be his new favorite casual day go-to. Soft cotton T-shirt featuring a semi-relaxed fit and lover and heart graphics on the center chest and across the back. Crew neckline. Short sleeve construction. Easy pullover design. Straight hemline. 100 percent cotton. Machine wash cold, tumble dry low. Imported. Measurements: Length: 17 in Product measurements were taken using size 4T. Please note that measurements may vary by size. The SUPERISM Superism Mountain Short Sleeve Tee will be his new favorite casual day go-to. 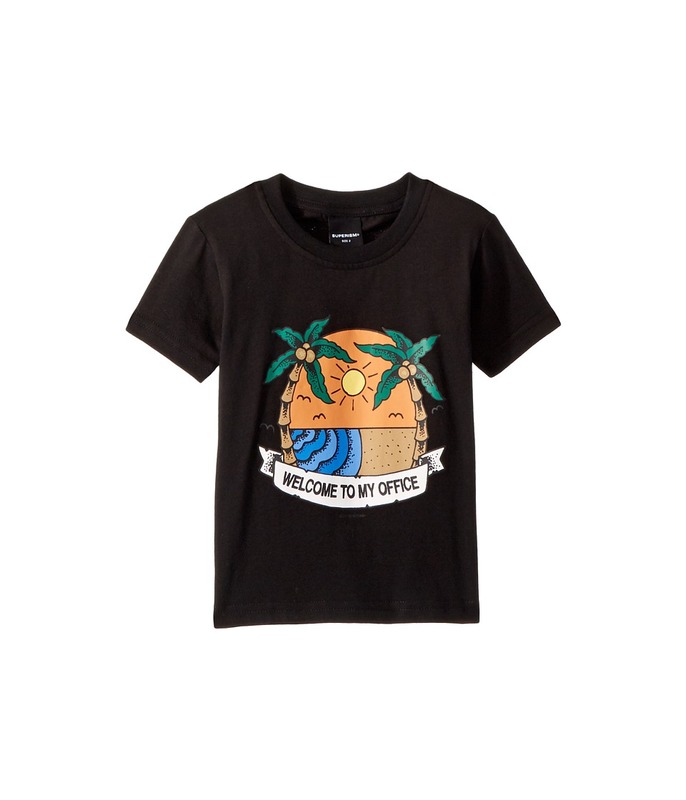 Soft cotton T-shirt featuring a semi-relaxed fit and a Welcome to my Office beach graphic on the center front. Crew neckline. Short sleeve construction. Easy pullover design. Straight hemline. 100 percent cotton. Machine wash cold, tumble dry low. Imported. Measurements: Length: 14 1 2 in Product measurements were taken using size 2T. Please note that measurements may vary by size. The SUPERISM Superism Mountain Short Sleeve Tee will be his new favorite casual day go-to. 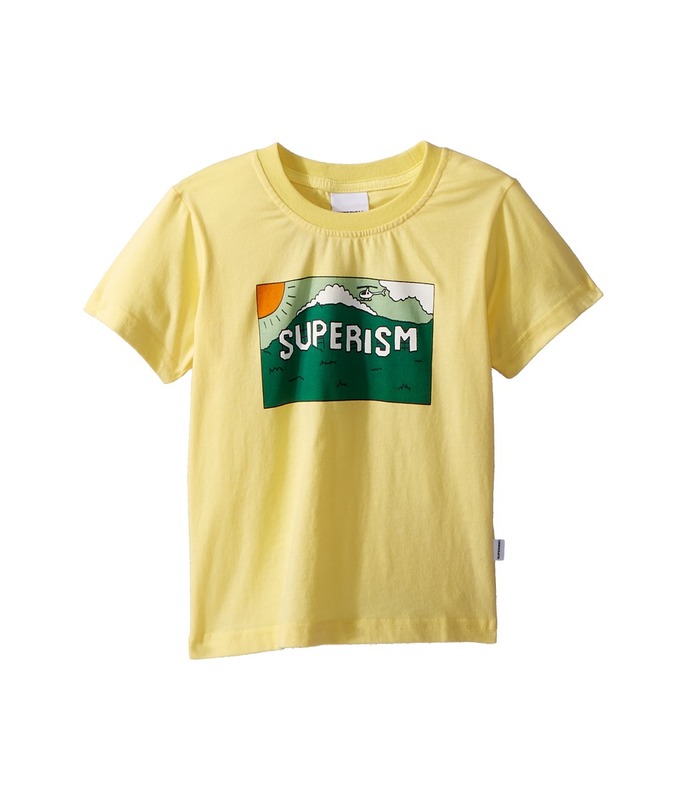 Soft cotton T-shirt featuring a semi-relaxed fit and a Superism mountain graphic on the center front. Crew neckline. Short sleeve construction. Easy pullover design. Straight hemline. 100 percent cotton. Machine wash cold, tumble dry low. Imported. Measurements: Length: 15 1 2 in Product measurements were taken using size 3T. Please note that measurements may vary by size. The SUPERISM Swim Team Champ Short Sleeve Tee will be his new favorite casual day go-to. Soft cotton T-shirt featuring Superism Swim Team graphics on the center chest and across the back. Crew neckline. Short sleeve construction. Easy pullover design. Straight hemline. 100 percent cotton. Machine wash cold, tumble dry low. Made in the U.S.A. and Imported. Measurements: Length: 16 1 4 in Product measurements were taken using size 4T. Please note that measurements may vary by size. The SUPERISM Ice Cream Short Sleeve Tee will be his new favorite casual day go-to. 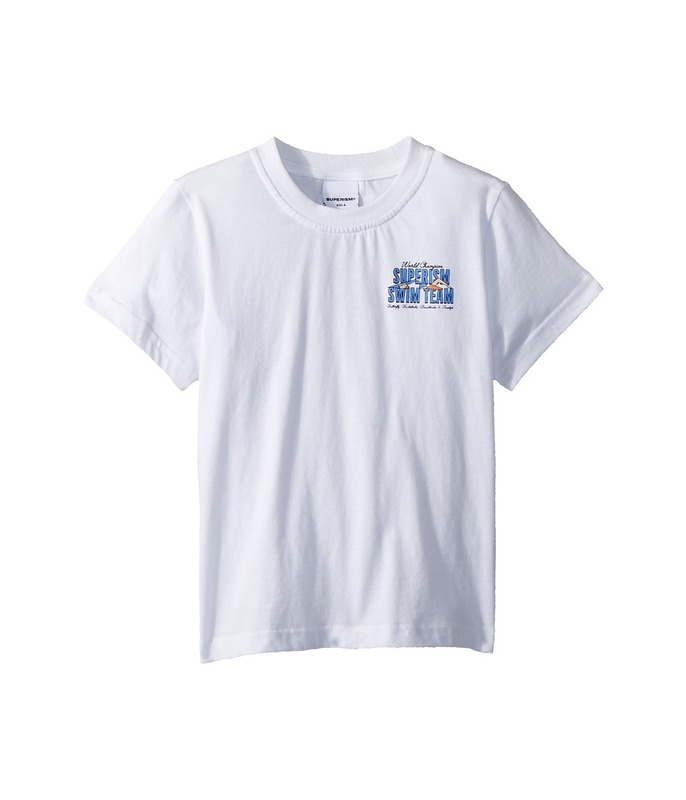 Soft cotton T-shirt featuring a semi-relaxed fit and Superism Ice Cream Company printed on the center chest and Free Work For Ice Cream printed across the back. Crew neckline. Short sleeve construction. Easy pullover design. Straight hemline. 100 percent cotton. Machine wash cold, tumble dry low. Imported. Measurements: Length: 16 in Product measurements were taken using size 3T. Please note that measurements may vary by size. 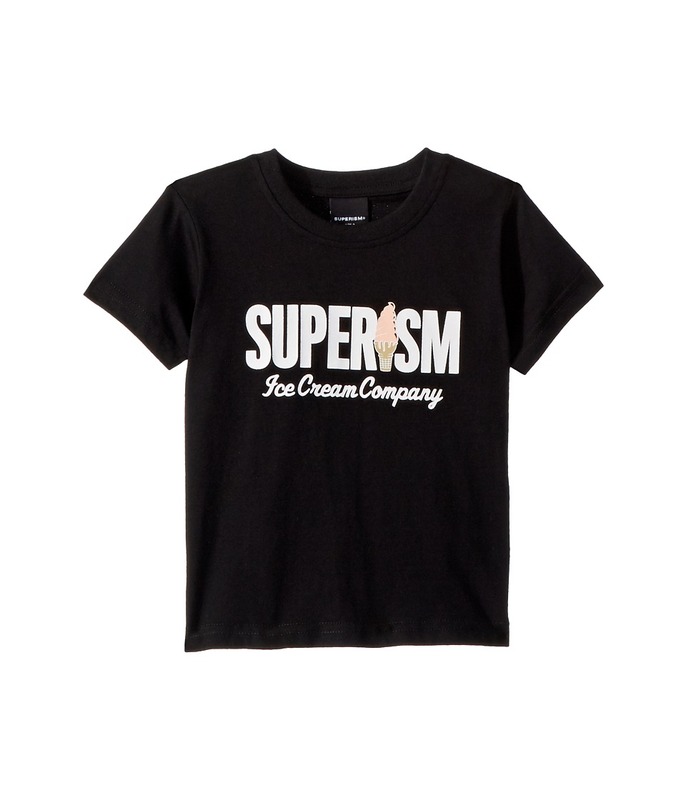 The SUPERISM Ice Cream Truck Short Sleeve Tee will be his new favorite casual day go-to. 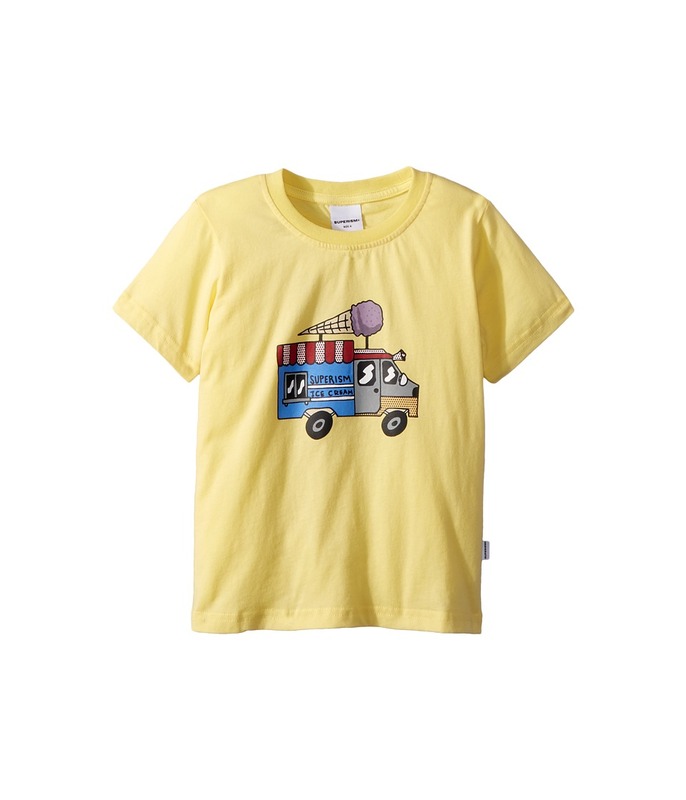 Soft cotton T-shirt featuring a semi-relaxed fit and an ice cream truck graphic printed at the front. Crew neckline. Short sleeve construction. Easy pullover design. Straight hemline. 100 percent cotton. Machine wash cold, tumble dry low. Imported. Measurements: Length: 17 1 2 in Product measurements were taken using size 4T. Please note that measurements may vary by size.